Go back to the vicolo and find the quickest way to go to Piazza Cesare Battisti, better known as Piazza delle Erbe (the Herbs Square), once the square for the meat and vegetable market, and one of the most characteristic places in the very heart of the city centre. Still nowadays it is surrounded by nice shops. 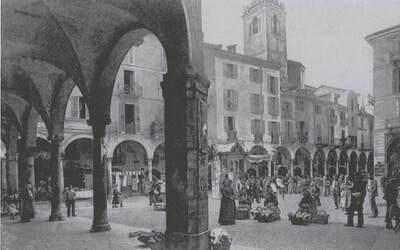 Throughout the centuries the square has been given different names: piazza delle Beccherie Maggiori (Square of the Major Butchers), piazza Nuova (New square), Piazzetta (Small square), piazza di S.Rocco (St. Rocco’s square), piazza della Verdura (Vegetable square). 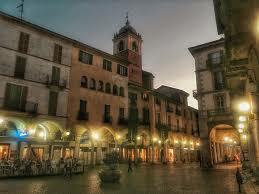 Around 1230 the Shoemakers’ Guild bought the square because they wanted to build their workshops and shops around it. But apparently all the other citizens were against this project, and in the end it was not carried out. According to some tales the columns of the north porch come from the village of Biandrate. They were the spoils of a war in which Novara, that was fighting with the Lombard League, defeated Biandrate, an ally to Frederik Barbarossa. Until 1900s, a large painting portraying Saint Lorenzo (made by an unknown artist) was kept in a two-door wooden shrine on one side of the square. The shrine was opened in the morning and closed at night. The painting was especially worshipped by the city fruit sellers and greengrocers, who gave the square its final name. The Saint was invoked for rain, which was fundamental for abundant crops. In 1900s the painting was removed and donated to the brotherhood of San Giovanni Decollato (St. John the beheaded), then it was probably moved in the San Rocco’s Oratory and finally it sort of disappeared. The wooden shrine, which was next to what now is the entrance to the chocolate shop, was destroyed by bad weather. 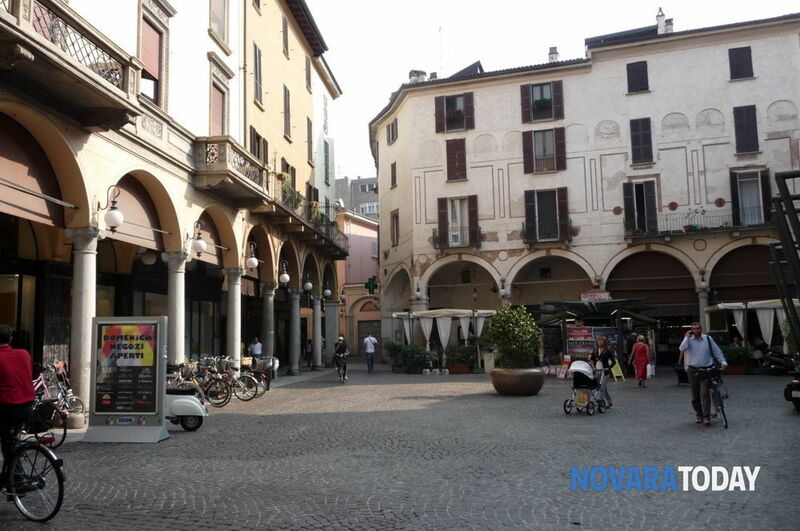 Since the XII century the lands around Novara were cultivated with a system called “water-meadows”. Fields rich in water allowed for many grass crops in a year, thus providing food for the cattle, that could be sold and turned into meat and leather for the city market. ​The brotherhood of San Giovanni Decollato (St. John the Beheaded) was very important since they had the task to assist all the convicts and accompany them to their execution, and then they buried them in their cemetery (located right in front of the church). From 1579 to 1733, except from a short period early in the 17th century, the brotherhood had the privilege to set free one of the death convict on the Saint’s day (24th June). For those who are interested in the esoteric world, the square has a magic spell. In fact, in the square there is a magic stone which has the shape of triangle. The stone marks the centre of the city from where all distances to other cities can be measured. The stone is made of granite. In the beginning of January 1992 the stone was stolen; it mysteriously reappeared on January 18th: a priest said he found it in a confessional box. The stone was put back to its original place, but apparently it did not perfectly fit, thus causing the square to lose its “magical energy”. One last thing about the Herbs square: in the old days there was a shop run by a man called by everyone the “Chega”. He was selling one of the most important products made in Novara: the Gorgonzola cheese. 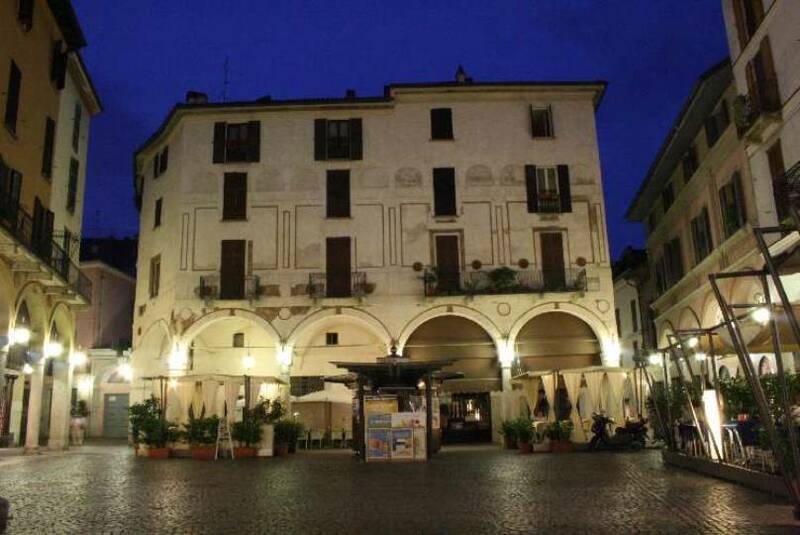 From then on everyone in Novara called the Gorgonzola cheese “chega” without even remembering the reason. In the beginning of the 19th century one of the first producers was the “Romolo Grioni & C.”. 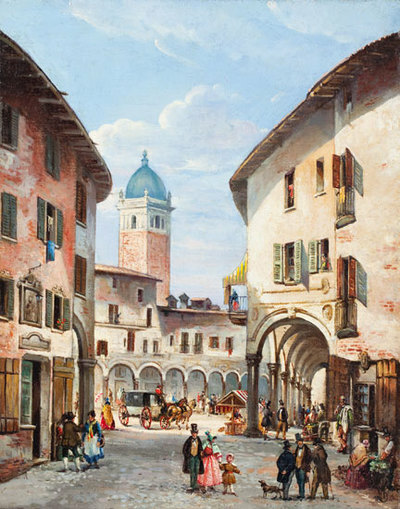 They were based in Porta Mortara. Not far away from them there was an ice-making company. The wheels of cheese were placed in big wickerwork baskets with blocks of ice to preserve them and carried around the city to the nearby villages. In 1919 the cheese factory Mario Costa started making gorgonzola in a farm near Vinzaglio. In 1924 they won the first prize at the Cheese exhibition in Milan. In 1934 Mario Costa opened a cheese factory in corso Vercelli and he continued making cheese for more than 70 years.